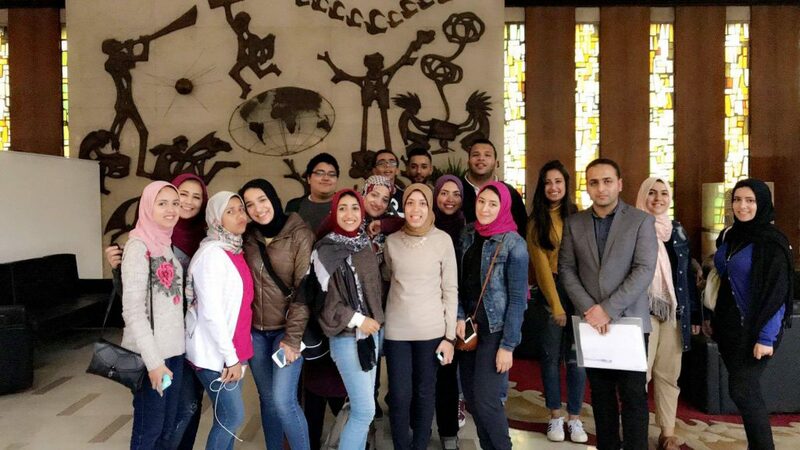 The Journalism Department at the faculty of Mass Communication organized a field trip to the major journalistic institutions in Cairo on Monday 4/12/2017. The trip was organized by Dr. Hamdy Ahmed, a lecturer at the Journalism Department; Ms. Noha Al Asdody, an assistant lecturer at the faculty of Mass Communication and Mrs. Gehan Ashraf, a demonstrator at the faculty. The main aims of this field trip are to link the students’ theoretical studies to real-life professional practices and to acquaint the students with the journalism career and journalistic practices like journalistic writing, newsgathering and the pages’ layout and design. 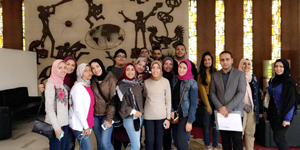 The group firstly headed for Al-Ahram Institution at Al-Galaa Street- Cairo where they were received by the Public Relations Manager who took them in a conducted tour of the place to explain the organizational structure of the institution. 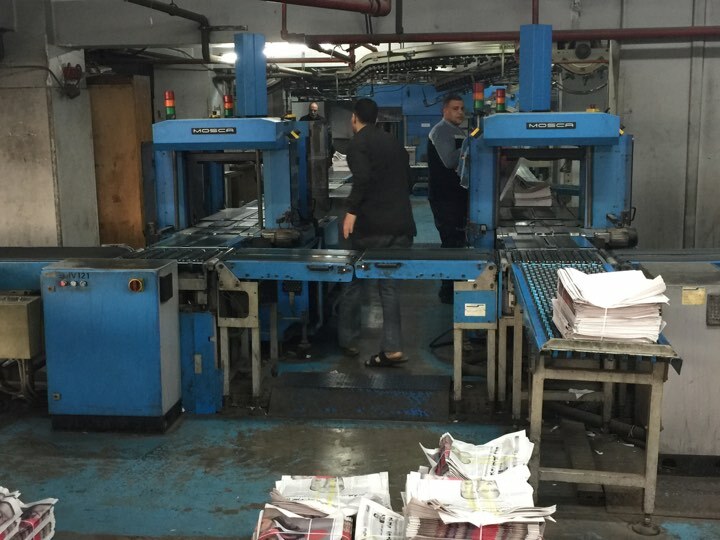 They also visited the newsroom where they found the central editing desk of the newspaper and computers with the state-of-the-art technology. Then, the group was escorted to the archive and the information center of the institution where they found the issues of different editions of newspapers and magazines of Al Ahram Institution. Afterwards, they went to the Layout and Design Department where the students got acquainted with the process of designing scale models on the latest programs. 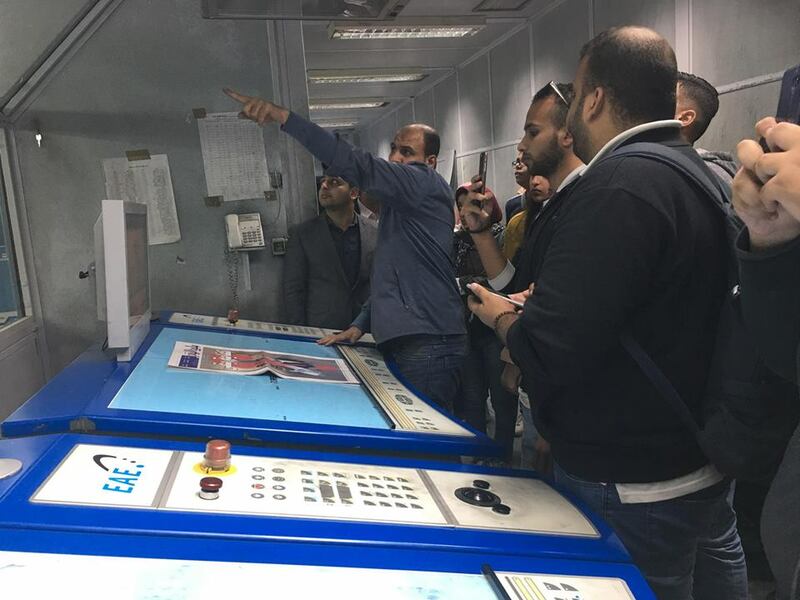 At the end of the field trip, the group paid a visit to Al Ahram Press to get some information about the printing process and the printing phases the issues go through to reach its final form.